Ultrasound Cavitation treatment uses ultrasound waves which are conducted through the skin, causing micro-bubbles which turn fat into a liquid substance, which is then removed from the body using the lymphatic and urinary systems. 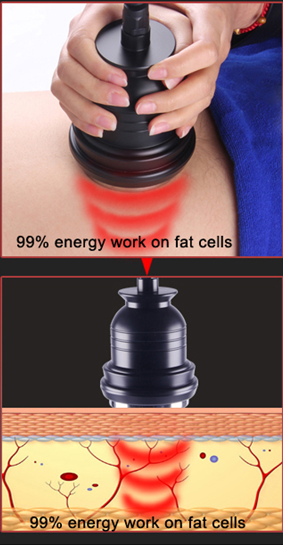 Explode fat cell and dissolve stubborn cellulite. Improve stretch marks; strengthen the elasticity of tissue fibroblasts. Body Shaping: lift and tighten arms, thighs, sculpture waist and abdomen, cellulite improvement. People with acute inflammation, asthma, deep vein thrombosis (large blood clots), Thyroncus (enlargement of thyroid gland), or cancer. People with hemorrhagic disease or bleeding disorder.